Reshma Rai Singh,the CEO of Mani Trust informed that the 12 days Donation Camp from 2/8/2018 to 14/8/2018 was held in aid of both the Cancer in Kalimpong Town with due permission from the Chairperson, Kalimpong Municipality. People from Rs 1 to above donated a total sum of Rs.3 lakhs 41 thousand and 872 rupees. She informed that the Trust bears all the expenses during the camp. Reshma Rai Singh thanked all the donors and volunteer for of both Club for making the fund raising initiative a grand success. 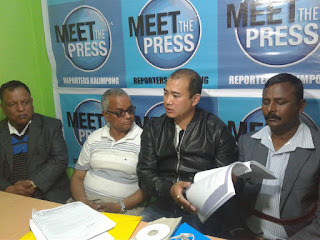 The book of detail donation collection report was handed to Club members which will also be sent to Kalimpong Municipality, Police Station and DM Office informed Singh. Mani Trust which has been regularly supplying home cooked food and water containing 60-70 calories to homeless people of Kalimpong from 29th May 2014 under its food for helpless initiative. The trust distributed English, Hindi, Nepali and Bengali news paper to three parks of Kalimpong town under Social Information Promotion initiative. 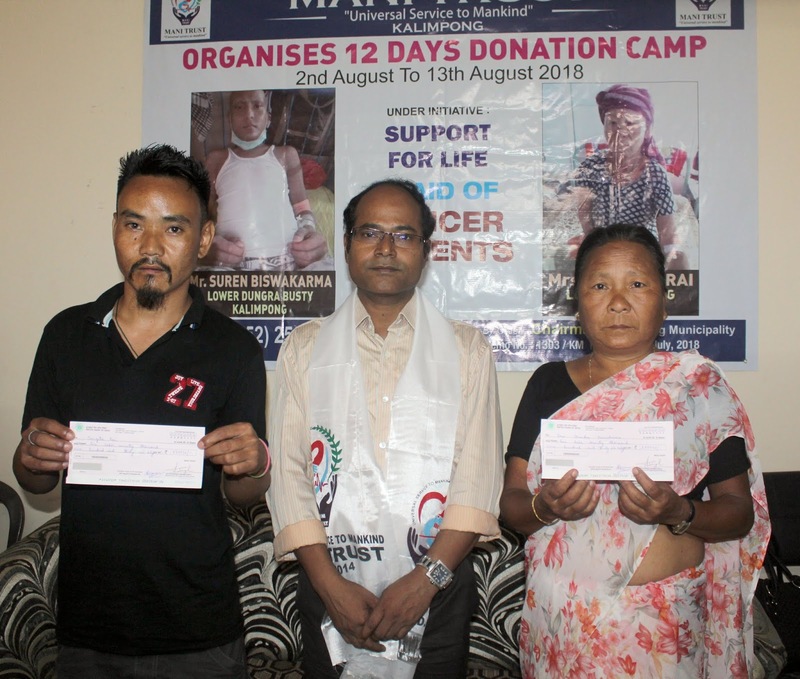 It is engaged to raise donation for drown trodden patient under Support for life initiative. The trust in a very little time has been emerging as a raising force. The Trust is working to establish a Medical Tourism Hub in Kalimpong and reviving the glory of Kalimpong Arts and Craft she informed. wakarama Bhujel and 60 year old Sangita Rai. Suren is suffering from throat cancer and is been presently admitted at NRS Kolkatta while Sangita is who is suffering from Uterus Cancer is presently admitted in CMC Vellore . 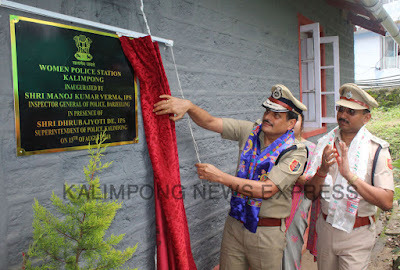 Inspector General of Police Manoj Kumar Verma inaugurated Kalimpong district's first all-woman police station in the town here today. Sub-Inspector of Police Sabita Lama has been appointed as the officer-in-charge of the new PS, while the Assistant Sub-Inspector is Shanti Lama. It is also learnt that around six women constables were also posted there yesterday along with women civic volunteers. "The police station is already functional at the old DIB building," said the Superintendent of Police, Dhurva Jyoti De. IGP Verma said that the government has been working to solve problems plaguing police stations, including a shortage of staff. "Recruitments are going on for constables and sub-inspectors, and it may take a little time, but the vacancies will be filled soon," he said. 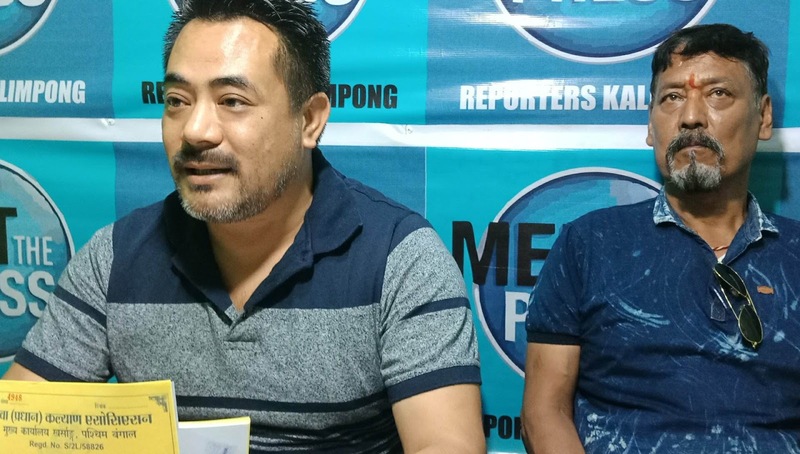 as there have been proposals for setting up police stations in Pedong, Reyang, Algarah and Lava. will take time," Mr Verma said. 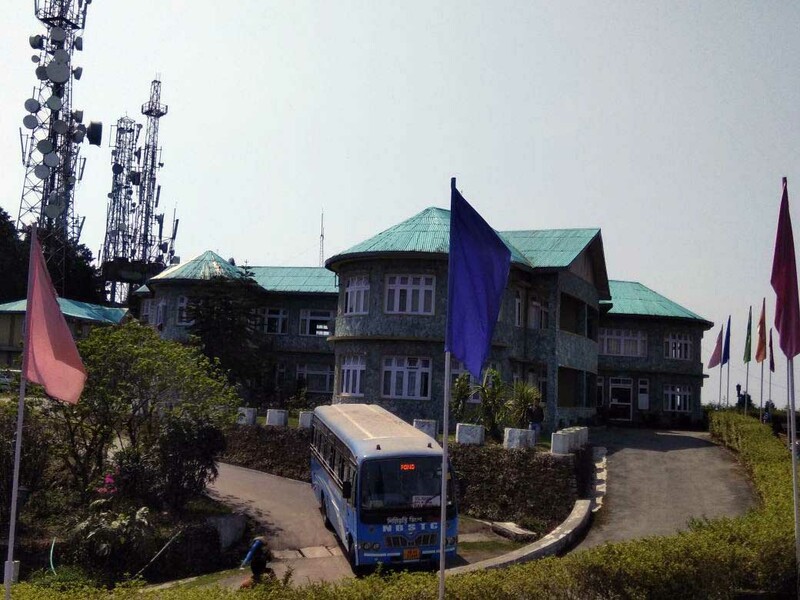 Sister Subishna Thapa, the director of Bal Surakshya Abhiyan, an NGO that works for the welfare of children and girl child, expressed her gratitude to the Superintendent of Police, and said that introduction of such women's police station in a short span of time after Kalimpong was declared a district was praiseworthy. "We should really appreciate the police department for such quick initiative. Moreover, the department of Anti-Human-Trafficking was also introduced as soon as the new SP arrived here. We, who work on such cases (related to women and children) have the impression that cases will be solved faster and women/girl-related cases will be taken very seriously," SisterThapa said. Siliguri depot at 6.30 am,reach Kalimpong at around 9 am and halt for half-an-hour at the motor stand before heading to Delo. dents from Jalpaiguri Engineering College were seen taking the Siliguri-Delo service inaugural bus run. A passenger from Siliguri who every Sunday visits the Dr.Graham’s Homes School which is located on theway to Delo today said, “I am thankful to the NBSTC for starting this bus service. Earlier, I had to pay around Rs. 200 as local taxi fare from the motor stand to Dr.Graham’s Homes School but today I reached the school paying a total fare of Rs. 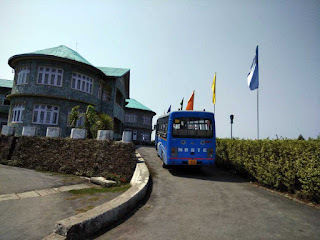 105 from Siliguri!This bus service saved both my fare and time”. 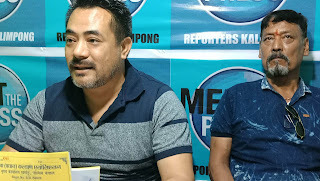 Many local passengers were also seen taking the bus midway from Delo to the motor stand and appeared jubilant stating that they had to pay only a bus fare of Rs. 10 as compared to Rs. 30 in local taxi.